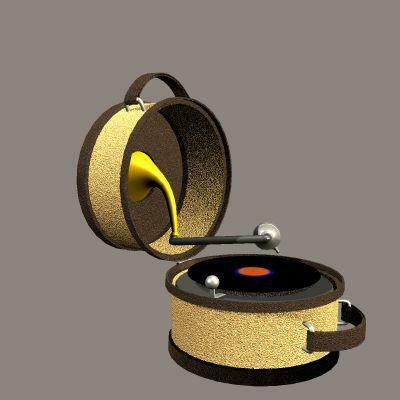 A suitcase-style phono with a 78-RPM record. Includes poses to close and open, and an animated pose to play the record from start to finish. Eustace Scrubb (11 years ago) Inappropriate? D. Jay Newman (11 years ago) Inappropriate?